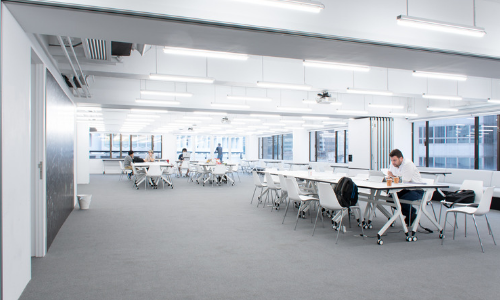 One of the co-working spaces in Hong Kong, theDesk has added one more location in the city. Spanning 36,000 square feet, the new co-working space, set to open in Q1 2019, will be situated in United Centre in Admiralty, becoming theDesk’s flagship premises offering private offices, hot desks, and event space. “As Hong Kong pushes to become a smart city and set to play a key role in the innovation and technology-focused Greater Bay Area, we are seeing more business opportunities for technology-driven companies,” said Thomas Hui, CEO and co-founder of theDesk. Founded in 2016, theDesk has grown from the first premises in Sai Wan to adding two prime locations in Causeway Bay, and now another location is expected to open soon. “We are committed to finding different ways to support our members’ business growth, and we believe the addition of our new location – at the heart of Hong Kong’s business district – will provide flexibility, productivity and community for our members to access opportunities in one of the world’s leading financial and commercial centre,” concluded Hui. The online ticketing agent has pulled an advert featuring late South African leader Nelson Mandela in response to a request by the..
2018 will be another year for online advertising as mobile-first strategy picking up as a new trend, with social and TV running ne.. The account is said to worth close to RM$10 million. .. The barrels will be hidden "at historic and cultural sites, with clues on Jack Daniel’s Facebook pages to help guide fans to the s..